THIS CONTEST IS NOW CLOSED. 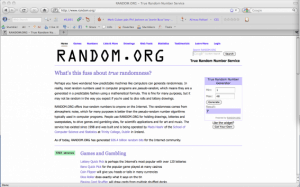 We had 48 entries and random.org selected lucky number 7 which is Heidi Gollub. Congrats Heidi – I hope your family enjoys the new Giants of the Savanna! After 17 months of renovations, the Dallas Zoo has totally stepped it up. It is now home to the new Giants of the Savanna area and one of the top activities for kids in Dallas. 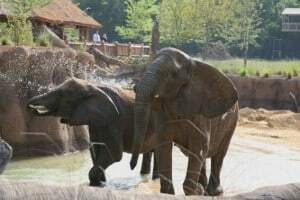 Families on Trekaroo rave about this new 11-acre area filled with elephants, giraffes, impalas, zebras, ostriches, lions, warthogs, red river hogs, guinea fowl, and cheetahs. There are even a few areas that are air-conditioned near the elephants and insects of the savanna plus lots of interactive features to keep kids engaged and learning. Wanna dine next to the King of the Jungle? Head to the Serengeti Grill and grab lunch with the lions who are lazing alongside the floor to ceiling glass windows of the restaurant. It’s pretty amazing. For more Dallas Zoo reviews. Leave a comment telling us about a favorite zoo moment with the kids. Esther Lee is a contributing writer for Trekaroo – a reviews site dedicated to exploring and traveling with kids. One of my favorite memories of going to the zoo with my daughter, was when she was in pre-K and I got to go with her class to the Fort Worth Zoo. We had an amazing time together, but kept getting lost over and over again. But for some reason, we kept finding the Burger King with no problem! It makes me laugh now, but at the time it was frustrating. I smile also thinking about my baby being that young and innocent and the look of wonder on her face, when she saw all the different animals. We went to the San Antonio Zoo recently and an elephant (our daughter’s favorite animal) walked right up to the fence, right in front of us. It was so wonderful for my daughter to see him up-close. When my daughter was really little I loved seeing her reactions when she discovered different animals at the zoo! My kids love when the butterflies land on their fingers in the butterfly pavilion at the San Antonio Zoo. I like you on facebook (Heidi Gollub). 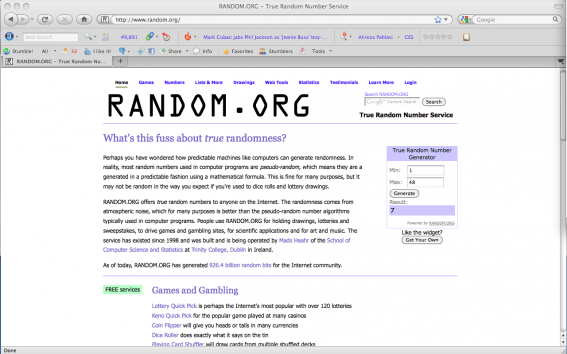 I follow on twitter (@freefuninaustin). posted on my facebook wall!! woo hoo! Going with my little girl’s field trip as a chaperone and seeing the zoo with the kids! I remember going to the zoo with my little sister, when she was about 5 or 6. She was fascinated by the chimpanzees, and she kept pushing against the fence to see them better. Some of the chimps were close to the fence too, so they were all enjoying each other. Or so we thought. A few minutes later, one of the chimps turned towards her and started spitting at her! She freaked out and ran away from the fence crying, because she had spit all over her. Ew. But it sure was funny to the rest of us! Seeing the baby chimpanzee getting a ride on mama’s back up to the top (back) of the exhibit, then watching the mom lift the baby up so he/she could climb the tree. So adorable. My young son commented on the love they had for each other as he held my hand. We haven’t been to the zoo in years, but when ds was little we took him there, and I have a great shot of him riding on his daddy’s shoulders, doing a rubber neck to check out the giraffes. My favorite moment was visiting the Dallas Zoo, and my stepson scared the crap out of my husband by touching his ear with a bamboo leaf while we were near the gorilla (I think?) exhibit. I’m looking forward to bringing my 15mo old son out to the zoo – he loves looking at animals! Also – shared on Facebook. My fave was when they saw a white tiger for the first time. They loved it. It’s still my dd’s fave animal. One memory we have is of a particular monkey. His arm was extended through the bars with his hand cupped begging for food. Right next to him on the outside of the cage was a huge sign stating, “DO NOT FEED THE ANIMALS!” He was soo cute! All my zoo memories are of the wonder in the kids’ eyes. My kids have always enjoyed the Dallas Zoo. Our first outing when we relocated out here to Dallas was the Dallas Zoo. Our daughter always asks to go to the zoo and we like to take her to the Dallas Zoo whenever possible. I don’t have any kiddos, but I do foster care a special needs woman. We took her for the first time to the zoo this past month, in San Antonio. Absolutely LOVED it. However, it was a little, okay a lot, hot. So it’d be nice to travel to Dallas to visit the zoo when it’s much cooler. They had the cutest monkeys ever. We just stood there forever to watch one of them that had two little babies. So in awe. Hi my name is Natosha. I have 3 kids and Im married. We all had a blast at the zoo last year and would realy like to come back. we saw monkeys elephants lions cheetas and so much more .My oldest Brook is 14 she is a creative young girl that loves animals. my middle is Justen he is 11 and an athletic young man. And the last is Graysen he is 7 and enjoys baseball. they have all worked very hard and i would like to reward them with a trip to the dallas zoo.